Businesses evolve at a much faster rate than governments. In the past, the cat and mouse games between business owners and taxation authorities were taking years. However, with advances in technology, the Canada Revenue Agency (CRA) has started to close those so-called ‘tax gaps’ much quicker. The Canadian government’s position on taxation of online income has started to evolve in the early 2000s. At first, most online businesses were able to get away with not reporting their income. In return, the Canada Revenue Agency (CRA) has issued a blanket statement that Canadian residents are obligated to report income from worldwide sources. Later, the CRA developed specific requirements where online business owners have to report all websites that are producing income. There were also additional sales tax requirements produced specifically for eCommerce sellers who operate in and out of Canada. 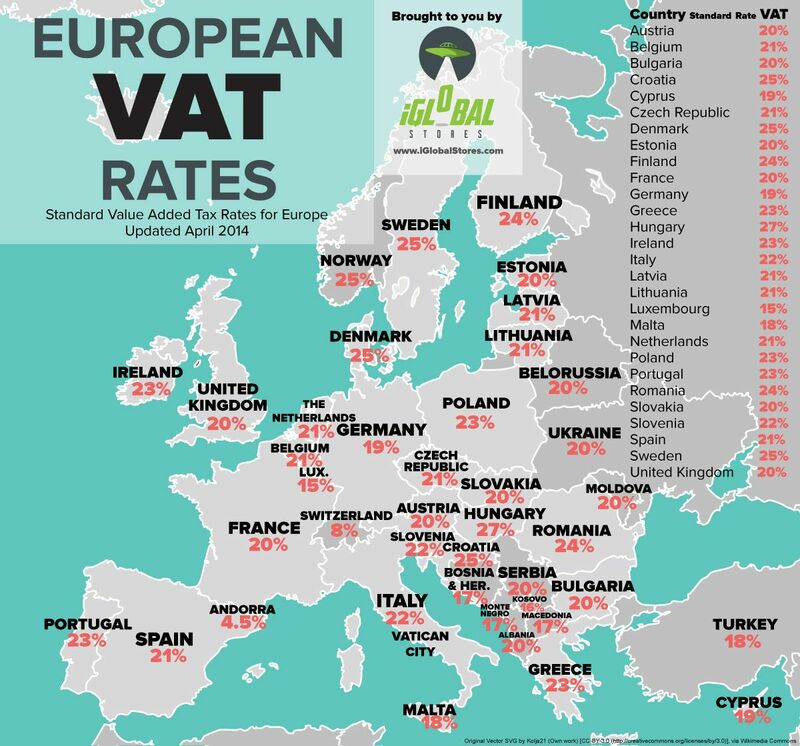 Canada has one of the highest voluntary tax compliance rates in the world. We can easily confirm that based on our own experience. The vast majority of online sellers do want to comply with evolving tax laws and regulations. However, a major issue for eCommerce sellers is understanding their tax obligations when they sell both in Canada and in other countries. By selling to international customers, online store owners inadvertently fall into tax jurisdictions of those countries. Tax treaties have been helping to clear up some confusions, but some issues remain in the grey area. The topic of taxation can become quite complex and inundating, so we will try to keep things relatively simple in this guide. We will be going over eCommerce taxation requirements for Canadian sellers who sell in Canada, the United States, and the European Union. The tax consequences of running an eCommerce business will depend on what type of business structure you choose to operate under. There are three main business structures that you can operate under in Canada: Sole Proprietorship, Partnership, or Corporation. Each business structure has its advantages and disadvantages. We detailed pros and cons of each business structure for eCom sellers in this article. Under the sole proprietorship business structure, your business is inseparable from you. This form of operations is not considered to be a separate legal entity. Hence, you are exposing your personal assets to any business liabilities or lawsuits that your eCommerce business may incur. In addition, there are limited tax planning opportunities that are available to a business owner under this structure. On the upside, your accounting fees will be lower as everything is essentially run under your own name. You also don’t have to apply for any business licenses if you operate under your personal name. In short, this business structure is good when you are just testing the waters and don’t have too many personal assets to protect. As for the taxation of eCommerce businesses under a sole proprietorship, net revenue that you earn above your business expenses is added to your personal income and taxed at your effective marginal rate. You work a full-time job and run a small Shopify store on the side. Your marginal rate (the progressive tax rate you pay on each additional dollar earned) is 40%. Partnerships operate similarly to sole proprietorships in the sense that they are also flow-through entities. A partnership can be formed into a legal entity (like Limited Partnerships, for example). However, most partnerships operate as general partnerships, meaning that all partners are equally responsible for the liabilities of the business. Operating an eCommerce partnership is more common among family couples or friend-turned-partners who want to simplify their accounting and minimize legal and accounting fees. However, it is also a risky form of ownership since all general partners are exposing their personal assets to potential business liabilities. Most partnerships do not require a separate tax return. Net income is divided according to the partner’s investment or percentage outlined in the partnership agreement. Each partner would have to add their portion of income to their personal tax return. Howard and Wynn operate a drop shipping store while working full-time jobs. Their partnership is structured on a 50-50 basis. Both are in the 40% tax bracket. Their drop shipping store made $25,000 in net income last year. According to a verbal agreement between the partners, each would need to include $12,500 in their personal income. The CRA would like to get a $12,500 x 40% = $5,000 in personal taxes from that business income. Most eCommerce sellers operate under a corporate legal structure for a variety of business reasons. One of them is the limited business liability. Your company will be separate from your business, and hence your personal assets will not be put at risk. In addition, you can defer taxes on net income that you don’t need for personal expenses. On the downside, your accounting fees will be much higher (expect $2,000-3,000 in tax fees for all year-end work done by a CPA). You will also need to properly track how you are taking money out of your corporation (loans, salary, or dividends). Finally, losses are trapped in the corporation, so you can’t apply them against the employment income, which may be especially useful in the first starting years of the business. Canadian-controlled small business corporations are taxed at a very low rate on their active business income (and an eCommerce business is considered to be an active form of business). The combined small business tax rate will be in the range of 13-15% on the first $500,000 of net income. Gale is working full-time while running his eCommerce store under a corporation in Ontario. His store has earned $30,000 in net income last year. Gale does not require business income for personal expenses at the moment. His personal marginal tax bracket is 40%. Gale’s corporation would pay $30,000 x 13.5% = $4,050 in corporate taxes (compare that to $30,000 x 40% = $12,000 that Gale would have paid if he ran under a sole proprietorship or a partnership). One of the major challenges for eCommerce sellers is understanding and complying with sales tax regulations. In order to understand the concept of sales taxes, we need to first know what they are. In layman terms, sales taxes are the additional amounts you need to collect from your customer and remit them to the government. It is not an additional tax on your income, it is not a charge; it is something you take a temporary possession of and return to the government. There are major complications that are inherent to the concept of sales taxes, especially for online businesses, like eCommerce store owners. If you operate a Shopify, Amazon, or any other store, it is your responsibility to set up the collection of sales taxes from your customers. When your customers are located in various countries, provinces, or even local municipalities, it is becoming a major difficulty to keep up with. Most marketplaces are putting the responsibility on the seller to know their sales tax obligations (and frankly they are intentionally staying away from any tax issues their platform users might have). Another complication comes from the fact that when you get your payouts from payment processors, your sales taxes are co-mingled with your revenues. It is quite a challenge to properly segregate all the collections when it all comes in one single cash deposit into your bank account. There are some sales tax tracking software that can make it easier (like Tax Jar, Avalara), but it is still a challenge to track and reconcile the amounts, especially if you sell across multiple platforms and jurisdictions. In times of uncertainty and budget deficits, sales taxes have become a major source of income for local municipalities, provinces, states, and countries. While the idea of collecting and remitting sales taxes may sound simple at a first glance, every single jurisdiction has slightly different tax rates, exemptions, penalties, and compliance requirements. For example, some Canadian provinces do not require you to collect sales taxes if your sales are lower than a certain threshold (e.g. British Columbia or Manitoba have a $10,000 threshold for small suppliers). Whereas the Federal government and Quebec have a CAD $30,000 threshold definition for small suppliers. 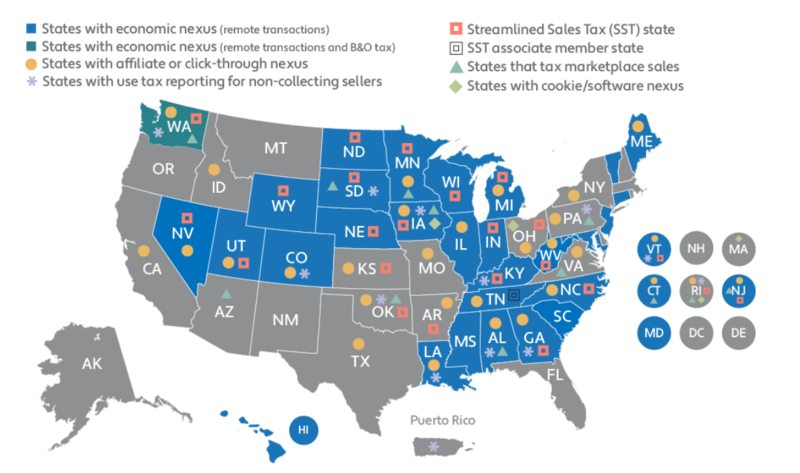 Another example: in the U.S., with new economic nexus laws, you will need to know the volume and the number of sales in the specific states (see blue-coloured states on this U.S. sales tax map). For example, you will have to start collecting sales taxes for your deliveries to Colorado customers if you are exceeding USD $100,000 in sales or 200 transactions in a year. Sales tax regulations are constantly changing and eCommerce sellers have a hard time tracking them. Most recently, we started seeing tectonic shifts in sales tax regulations happening in the U.S. due to the change of the definition of the sales tax nexus. In the past, most states would require a business to collect sales taxes on sales to customers in those states if they had some sort of a physical presence (like an office, FBA warehouse, independent agents, etc.). For example, if you were selling products from California to New Jersey, you were not obligated to collect any sales taxes. But if you were selling from California to New Jersey by using a warehouse in New Jersey, then you would have a nexus in that state and you would be required to collect sales taxes. That all changed with the landmark case South Dakota vs. Wayfair when the U.S. Supreme Court has decided that the definition of a sales tax nexus does not necessarily include a physical presence. It means that states can now impose sales taxes on out-of-state sellers who are selling to their residents. Here in Canada, we see similar developments. For example, new Quebec Sales Tax regulations that come in effect in January 2019, obligate out-of-country and out-of-province sellers to collect provincial sales taxes (QST) on sales of goods and services. Let’s go over the sales tax regulations in Canada and two major markets for Canadian sellers, the U.S., and the E.U. Canadian sales taxes can be conceptually divided into two categories: Federal and Provincial. What taxes to collect will be determined by 1) place of business 2) place of product/service delivery. Once you register for sales tax accounts in Canada, you can also claim Input Tax Credits (ITC) on sales taxes that you paid on your expenses. It is done to prevent the accumulation of sales taxes along the supply chain. For example, if you collected $1,000 in sales taxes and spend $300 in sales taxes on your inventory or expenses, your business will only be required to remit $700. We have created this shared Google sheet to summarize the Canadian sales tax rates that will need to be charged by eCommerce sellers. As mentioned, the rates will depend on the place where you are located AND the place where you are delivering your goods or services. Note: you will need a Google account to access this document. Unlike Canada, the U.S. does not impose sales taxes on businesses on the federal level. However, the simplicity of not collecting sales taxes federally is fully “compensated” by the myriad of tax laws and endless changes on the state level (and as you might have guessed, this issue extends well beyond the sales tax regulations in the U.S.). Each state has their own definition of a sales tax nexus. After the Wayfair decision, we see more and more states moving toward collecting sales taxes based on the revenue or unit count threshold (blue-coloured states). Some states (like New Jersey and Washington, for instance) have passed legislations that obligate marketplaces like Amazon and Newegg to collect and remit sales taxes on behalf of the sellers. Other states like the State of Massachusetts have obligated the marketplaces to turn over sellers data so that state enforcement agencies could go after the eCommerce companies. We also see some bigger states like Texas or California that still stick to the physical presence nexus where you need to have some sort of connection to the state before you are required to start charging their sales taxes. The E.U. has a complex sales tax system also known as Value Added Tax (VAT). VAT is similar to Canadian GST/HST concept, where you are collecting sales taxes at every step of the supply chain, and are receiving a credit for VAT spent on your inventory or services. You generally need to register if you sell goods or services to end consumers in the E.U. from outside the E.U. (if you sell B2B from outside of the of E.U., then sales tax collection may not be required, but the rules are rather complicated and will differ based on what country and what goods or services you are selling). You can refer to these guides for more information on a specific country’s VAT requirements for eCommerce sellers. An official E.U. guide on distance eCommerce selling (as their officials call it), can be found here. Income taxes should not be confused with sales taxes. Income taxes are an expense to the business and are paid on the net income after deducting all allowable business expenses (we have compiled a long list of CRA approved tax deductions in this article). On the opposite, sales taxes are the amounts you collect, hold, and remit to the government. The CRA is taxing Canadian residents and businesses on worldwide income. If you are a resident of Canada, you are obligated to report and pay tax on all sources of income. While the Canadian taxation system is fairly complex, it works relatively straight-forward for owner-manager types of businesses. However, there are several complications that pertain specifically to eCommerce store owners. When you sell in various jurisdictions, you need to be aware of where your business is subject to income tax. All governments want their piece of the pie when it comes to taxing businesses that are sourcing income from their economies. Those international tax regulations are incredibly complicated, and if you are a growing business, you will likely need a national accounting firm to help you navigate those complexities. Working with such a firm comes of course with challenges such as lack of customer service (unless you are a multimillion dollar company) and hefty accounting bills. While selling and delivering orders to customers in other countries through an eCommerce store is not directly causing income tax consequences, other activities might give a rise to requirements to either file tax returns or file and pay taxes on specific sources of income. The foreign company sells products without direct solicitation or use of any local companies or independents agents >>> No involvement, no tax consequences. The company sells products by using independent agents or local business like payment providers, 3rd party logistics, fulfilled by Amazon (FBA), customs brokers, warehouses etc; however, the company stops short of having an actual physical presence in that country >>> Required to file treaty-based tax returns, with no taxes payable. The company is fully engaged in Canada or U.S. by having a physical presence in that country (also known as permanent establishment). The products are actively sold and solicited to customers in that country by using dependent and independent agents, local business, employees and offices on the ground >>> Required to file tax returns and pay tax on the income sourced from those commercial activities. In addition, if you sell specifically to the U.S. market, there are local state requirements that can give rise to state tax obligations. For example, if you sell more than $500,000 USD to the residents of the State of California, or you are sourcing more than 25% of your revenue from the State of California, you are obligated to file state tax returns and pay taxes in that state. Note that the U.S. states do not have tax treaty obligations with Canada or any other countries. It means that if you are determined to pay tax in any of the U.S. states, you will be obligated to so. Once you pay your taxes in the U.S. your company can claim a foreign tax credit (FTC) equivalent to the Canadian dollar amount on the corporate tax returns to avoid double taxation of income. A good additional resource that summarizes tax consequences for Canadian companies doing business in the U.S. can be found under this link. Similar to the U.S., if your eCommerce store is deemed to be actively doing business in one of the European Union countries, you are obligated to register and pay taxes in that country. More information for each E.U. country rates and obligations can be found on this official website. Another major complication from the income tax perspective is the proper conversion of currencies for reporting purposes. The Canada Revenue Agency requires to report all foreign transactions converted to Canadian dollars at the exchange rate that was effective at the time of the sale. 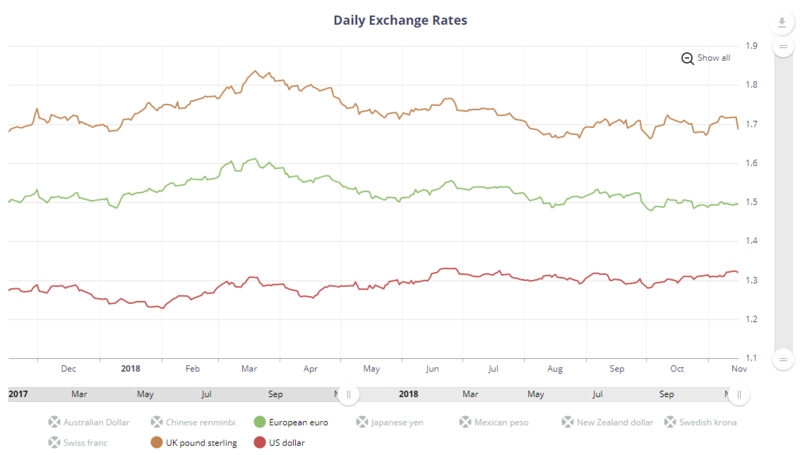 If you don’t have the exchange rate or the Canadian dollar equivalent amount calculated at the time of the sale, you should use Bank of Canada daily closing exchange rate to convert and report that amount for your business. Imagine doing that if you have hundreds of sales in multiple currencies across the world per day. Tracking it without a well-integrated accounting system can become a full-time job. On the expense side, if you are using your Canadian credit card for foreign expense transactions, whatever amount was charged to it, will be deemed to be the actual cost of the transaction. You will need to produce supporting documentation to support those charges in the original currency. For example, you paid $500 USD for your daily Google Ads spend from your Canadian credit card transactions. It came out to $675 CAD on your credit card bill after all conversion fees taken by the bank. You can claim $675 CAD as a deduction on your tax return as long as you can support the $500 USD business expense charge with an original receipt or invoice from the service provider. In addition, if you use popular gateway structures like Stripe, Paypal, or Woocommerce, you need to properly segregate and account for transaction fees charged by those payment service providers. In addition to properly keeping track of all base and foreign transactions for your business, you need to be able to integrate multiple systems that you use to generate sales. An ideal solution to that would be building out an integrated fintech app stack that will be tracking those business transactions in real time. We recommend using a cloud-based accounting system with a robust API module and automatic foreign exchange transaction conversion functionality. Our preferred systems for these purposes are Quickbooks Online and Xero. We have built out those custom integrations for eCommerce clients who require to work with an accountant on a month-to-month basis. The CRA requires all individuals and businesses to keep all supporting source documentation for the period of 6 years after the end of the taxation period (so effectively it is seven (7) years because you need to keep your receipts from the beginning of the year as well). Another big issue with the CRA that eCommerce sellers have been facing is lack of technology education. Explaining to a CRA auditor, for example, how your Woocommerce integration works with Shopify can be a major task. 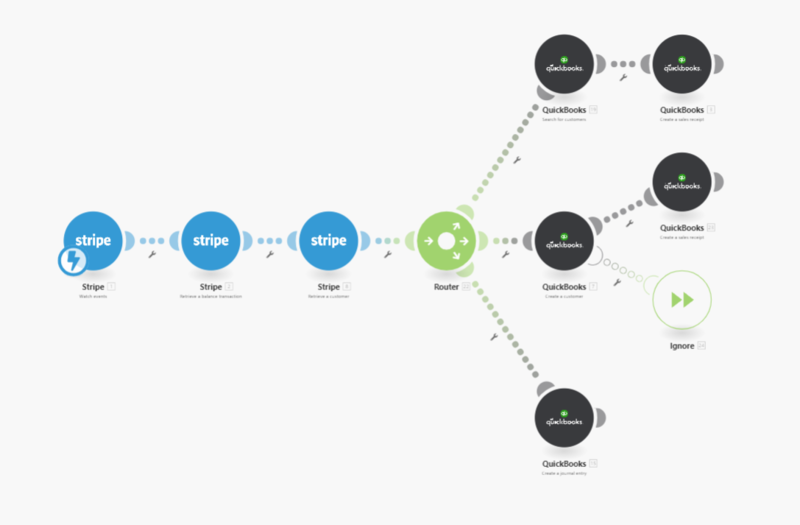 As a result, we strongly recommend documenting all your charts, workflows, and custom integrations. When the time comes to substantiate your online business revenues and expenses, you will need to be able to produce crisp and clear accounting records that show how you arrived at your amounts. We can help you organize your eCommerce accounting records and be ready for a CRA audit at any given time. On the surface, payroll taxes for online businesses look very similar to other small businesses. In general, the business should be deducting source deductions from employees and send those deductions to the CRA before the 15th of the next month. In addition, the employer is obligated to add their portion of CPP/EI, pay vacation/holiday pay and submit T4s at the end of the year. 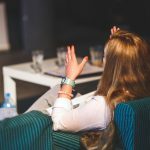 Issue #1: Am I dealing with a contractor or an employee? Many times eCommerce business are confused if they are dealing with an individual in the capacity of a contractor or an employee. Contrary to popular belief, neither a business owner nor an employee should decide what their status should be. Rather, the status of the employee should be dictated by the facts and circumstances of the working relationship. In general, if the relationship between the two parties has an element of subordination, then the individual is an employee. By subordination we mean setting business owners, providing tools, bearing financial risks on behalf of the individual etc. On the other hand, if the individual you are working with has multiple other clients, has an established business presence and dealing with you on equal ground, then that relationship is most likely a business-to-business relationship. Speaking from experience, most business owners would rather deal with a contractor vs. an employee to avoid potential payroll obligations. However, if you get audited, and the CRA will be of a different opinion they can go back as far as three (3) years and re-assess both the business and the “contractor” on CPP, EI, and interest on unpaid taxes. They can go even further than that period of time if the auditor has reasonable grounds to believe that this is a case of gross negligence on behalf of the business owner. We are recommending you to go over our detailed list of criteria described in this article to determine employee vs. contractor we detailed in this article. Another big issue for eCommerce sellers is to properly take the money out of the company. When your business is incorporated, the first $500,000 CAD of net income is taxed at a much smaller rate. However, when you take the amounts for personal expenses, the CRA will calculate the amounts based on your effective marginal rate. In addition, when you take the money out of the corporation in the form of salary or dividends, you will have to report to the government how much and when you took that money out so that it can be added to your personal income. When you compensate yourself in the form of salary, you will need to deduct and submit CPP and income taxes and send it to the CRA by the 15th of the next month (you don’t deduct Employment Insurance if you own more than 40% of shares of the company). You will also need to report and file those amounts on a T4 at the end of the year. Similarly, when you take out the amounts in the form of dividends, you will need to report the amounts on a T5 by Feb 28. Note that dividends are not tax deductible to the corporation, they are an after-tax profit that you distribute to yourself. In terms of one vs. the other, we generally recommend issuing yourself dividends in the first years of your business. It is easier to manage and is more advantageous from the cash flow perspective (no source deductions, no CPP, and no lost time value of money). However, once you start earning more income, we recommend distributing the amounts in the form of a mix of salary and dividends so that you can get the RRSP contribution room and CPP contributions for your pension plan. Another issue is when you have relatives and family involved in your eCommerce business. Recent changes to the Canadian tax legislation have practically eliminated the possibility to split dividends with non-active shareholders. With regards to salary, you can only pay reasonable salaries for the work actually done for your business. The income splitting benefits can be significant if you employ family members to help you out with day-to-day operations. You just need to make sure that the work was actually performed and the payment was paid. In any case, we are recommending to speak with a qualified accountant of your choice to help you navigate through these rules before taking any money out of your corporation. The consequences can cost you thousands of dollars in penalties and interest, so know your tax situation before taking any action. If you have tested the waters, are making some money, and have decided to continue running your own business, you should strongly consider incorporating it. A corporation will make you look professional in front of your customers. You will also save a great deal on taxes (especially if you don’t require amounts for personal expenses). Finally, you can sleep well knowing that your personal assets are protected from business-related liabilities with the corporation. Regardless, if you are making or losing money, you are obligated by law to properly track and report your business activities to tax authorities. eCommerce industry complications like dealing with multiple currencies, several tax jurisdictions, and countless business apps, a robust accounting system is a must. While Quickbooks Online and Xero are our first-choice recommendations, in the initial stages you can make other software like Wave Accounting, SlickPie, or even Google Sheets work for you. These are not the best solutions but at least they will help you stay organized and help you better prepare for the tax time. You may also not experience a full-blown audit by auditors with measuring tapes and calculators coming to your office. The CRA may request to review a sample of invoices to substantiate your sales tax claims, payroll activity, or specific tax deductions. Those reviews are far more common than actual audits. Our recommendation is to have systems and records in place so that you can be prepared to get audited at any moment in time. With the technology tools and new financial systems that we have in place today, establishing a fully-audit proof accounting system is quite possible. What we recommend you to do is to be in between of those two extremes. Build your business, but be aware of your tax obligations. The tax agencies in the developed countries like Canada, the U.S., or Germany can shut down your eCommerce business and freeze your assets in a matter of days, and you should not be ignorant about your obligations when doing business in those countries. However, if you are selling $5,000 worth of goods into the U.S, should you be concerned about filing all your taxes and making things right with the IRS? Probably not. You want to be compliant when you grow and the risk of non-filing penalties and interest becomes high. Surviving in the world of entrepreneurship is all about knowing and calculating your risks. Know your tax risks but don’t let them stop you from success. Stemming from the previous point, we see eCommerce business owners doing quite well when they concentrate on one and only thing, and that is building their business. They concentrate on increasing their day-to-day sales and then they hire professionals to do various aspects of their business for them. Successful sellers build out robust technology-based systems that speak to each other. Those systems become a leverage that helps them to 3x, 5x and even 10x their business with minimal additional resources. Use tools like cloud-based accounting software, shared drives, email marketing databases, to manage your business more effectively. 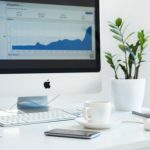 eCommerce businesses are evolving rapidly and the governments around the world are still adjusting their laws to properly deal with the new ways of doing business. If you are operating an eCommerce business in Canada, you should operate it under the right business structure, know your sales and income tax obligations within and outside of the country, and utilize technology to stay on top of your business. eCommerce taxation for Canadian sellers can become complex very quickly. Successful online businesses constantly face risks and challenges in form of evolving technology, tax laws, and competition. We recommend you rely on technology, trusted advisors, and business judgment to navigate through those challenges. First of all, thank you for all the value in these articles, I’m new to the ecommerce scene and just trying to start my first shopify store here in Canada drop shipping items from aliexpress(china). But like you said it is challenging wrapping my head around all this info but I do want to get a proper start to it tax wise so I don’t run into any problems. I’m still somewhat confused in regards to the collection of sales taxes. From what I’ve gathered from your articles starting off as a sole proprietor would be best for me since I just want to test things out first. And as a Canadian drop shipper as long as I’m within the 30k threshold I don’t have to collect GST to customers within Canada. I also understand with US customers since I don’t have nexus and presence in the US I also do not have to collect sales tax there. I’m still not clear about customers who will purchase items from me from EU and every where else around the world. Do I need to setup any features regarding collecting VAT? Or does that only apply if the person is actually based in one of those countries themselves? I read a CRA article on collecting sales tax and under foreign customers it mentioned if I am selling goods to customers outside of Canada then I am not required to collect sales tax as well. Is that correct or am I wrong altogether? I may need a consultation if your services offer that, I just want to know what I should have in place now properly to start my business right and if I have to get an accountant to help file my taxes later, I’ll have all the documentation prepared to do so. Thanks for your time! let me know please. 1) You don’t need to collect Canadian sales taxes on sales outside of Canada. You will still be required to register if you sell over $30,000 in the last 4 quarters. 2) With regards to EU and US states sales taxes, you will need to analyze every state and country you sell to in order to stay compliant with the tax laws. Great to find accounting expertise specializing in Canadian ecommerce. We have a new online store shipping across Canada. I have worked out the taxation for our products as they ship to the various provinces, however I’m confused about shipping. Our store is integrated with Canada Post and a shipping quote is automatically generated. The quote includes all taxes and fees that Canada Post would be charging. I collect that shipping cost from the customer, then I purchase a shipping label from Canada Post and send it off. From what I see, Canada Post only charges GST/HST (and never any provincial sales tax). However BC’s provincial tax requires our business to collect and remit tax on shipping in relation to the proportion of taxable items in the shipment. For instance, if 1/5 of the shipment is taxable items (BC-PST), then I am to charge and remit PST on 1/5 of the shipping. I am struggling to find examples of how people implement the requirements in PST Bulletin 302 on delivery charges. What they require is very complex and I have no idea how to implement and track PST on shipping through woocommerce store or within quick books online. What do other people do?! Any information most gratefully appreciated. It sounds like you would need a developer to write a code that will help you apportion a proper amount of PST on shipping charges for specific products. I haven’t come across this type of situation with my clients. I would try to get out of the weeds and weigh the cost of developing a solution vs. charging and remitting PST on the full shipping amount. Thank you for the highly informative article. I own a shopify dropshipping store which made slightly over the small supplier threshold last year (sole proprietorship). About 98% of my sales revenue was from the US and I did not charge sales tax for my store. How do I let the CRA know that my sales are exempt from Canadian sales tax when I file my return? I am slightly concerned about a potential unforeseen Canadian sales tax liability. You will need to file the way it is and explain the situation if questions arise. Since you don’t sell into the Canadian market, there is nothing you should have collected, even if you went above $30K. However, the CRA position is that you have to register for a GST/HST account if your worldwide sales (including zero-rated sales) exceed $30K in the last 4 quarters. Such an amazing compilation of information, and the Canadian Sales Tax Grid is going to be so helpful; thank you so much! I have a Quick question: So I am from Saskatchewan and I am going to start a e-commerce business, which will provide IT service to the customer via phone (no physical product sold), based on the ‘sales tax grid’ so if i provide a service to a customer in Quebec, I customer must be charged a GST & QST (no Sask PST to be charged), is that the correct interpretation? Also, what if my Sask based e-commerce business provides a service to the customer in US? I will really appreciate the information! 1) Re: QST – yes, if you provide online services to Quebec residents and you are not a small supplier ($30K threshold), you are obligated to register and charge QST on your sales. This new regulation for Canadian companies comes in effect Sep 1, 2019. 2) If you provide a service to US-based customers, the amount and rate will depend on the sales tax nexus you have in that state. Most likely, you want have any sales tax nexuses in the beginning stages of your business. The regulations on sales tax application are literally changing each month. You can learn more about what constitutes a nexus for each state under this link. Once again, thank you! great great info about US nexus and Canada inter provincial sales. So the threshold of $30,000 is only for Quebec, it doesn’t include the money we will make by serving customers for other provinces, correct? If we don’t provide services worth more than $30,000 we don’t need to register for QST? 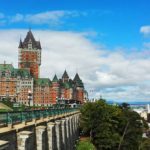 Yes, Quebec is following the federal small supplier exemption rule. Hey! So in Ontario if your business produces less than 5000$ per year we still need to declare? By law, you have to report all income to the Canada Revenue Agency regardless of the threshold. Thank you for the info. Just a question- I am drop shipping from a supplier that is based in Canada and I am also based in Canada. Both me and supplier charge sales tax- I charge customers when they place an order and my supplier charges me. My business is incorporated. Do I have to pay sales tax to the government in this case? You will have to track 1) Sales tax collected from customers 2) Sales tax paid to your supplier. At the end of your reporting period, you essentially need to remit the amount to the CRA equal to 1) minus 2). I don’t recommend opening a US LLC if you plan to operate your business in the US out of Canada. A non-resident LLC is obligated to remit 30% of the US sourced income and file 1040-NR tax returns. Unless it is elected to be taxed as a corporation, it is also not eligible for U.S. – Canada Tax treaty benefits. There is also a possibility of double taxation, since LLC are deemed to be corporations by the CRA. While in the U.S. the income from LLC is taxed on an individual level. If you plan to sell on Amazon FBA, you can use your Canadian corporation perfectly fine. You will be able to obtain an EIN (if required) and claim U.S. – Canada Treaty protection when you file your tax return. 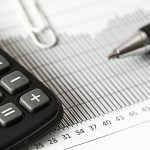 Your articles is one of the best resources I’ve came across while looking for the information about e-commerce taxation for Canadians – thank you for sharing! Boris, do you have any recommendations for people who are starting out and need to invest into their incorporated business? I wouldn’t want to lend money to the business to avoid legal documentation, tracking interest payments, and then reporting interest as a personal taxable income. Investing money in the business seems to be the easiest way, however, I’m not certain about the details that need to be specified in the transaction record to secure the status of an investment when transfer money from personal to business account (I confirmed with the bank, the record is a free form). Not sure I fully understand the question. There is no segregation of assets for unincorporated businesses. Your business and yourself are deemed to be one entity if you run a sole proprietorship. So, lending to the business and calculating taxable benefit is not really applicable to that scenario. My apologies, Boris… I guess it’s not clear from my question, but my business is incorporated. For incorporated businesses, you can lend/invest your personal after-tax funds into your corporation on an interest-free basis (interest calculation is usually required if the arrangement is the other way around – i.e. the corporation is lending the money to you). Thanks Boris, is there any benefit to having a US LLC designated as a corporation ? Would that be taxed the same as a Canadian Corporation.? Also if I plan on changing country residency in the future is there any thing I should consider now in the planning and setting up of this new company? The only benefit I see in electing US LLC to be taxed as a corporation is that the entity will become eligible for US-Canada Tax Treaty protection. Overall, the residency of the corporation is determined based on where the mind and management of the entity are located. So, I would think about where you are planning to reside as this will ultimately determine the residency of the corporation. There are multiple tax issues related to residency/non-residency tax issues between US and Canada. These considerations are beyond my competence on this topic. If that is your overall goal, I would recommend speaking to a professional in cross-border taxes before you open any entities. Excellent article! A great primer of information for any eCommerce startup. Thank you for the efforts. Thank you for this! It was super helpful! Incredibly thorough article, thank you!!! 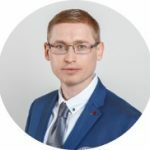 Boris Baranov is a Chartered Professional Accountant specializing in servicing eCommerce sellers, marketing agencies, and online businesses. 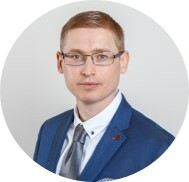 Following his passion for technology and numbers, Boris is assisting the new generation of companies with expert accounting and tax advice. 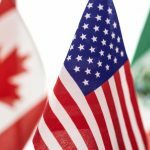 USMCA Trade Agreement – What Changed for E-Commerce Sellers?